This is by far the most unique piece in my collection. I struggle to find exact numbers, but empirical evidence points to it being far rarer than the MAX Machine. In the year and a half I’ve been monitoring Yahoo Auctions, I’ve seen numerous MAX Machines. Sometimes there are up to four MAX Machine auctions running at the same time, in fact. I’ve probably seem around fifty so far. By contrast, this machine has only appeared twice. 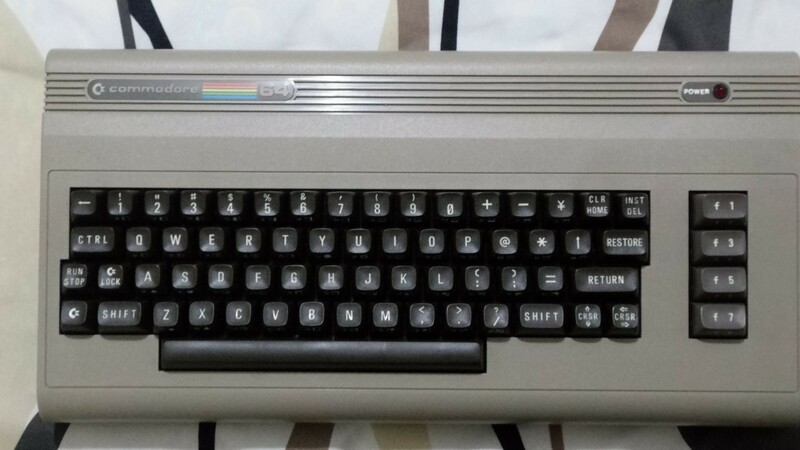 From a distance, it looks like a standard Commodore 64. In fact, the product name is just that: Commodore 64. But this is the Japanese edition. What’s the difference? Well, in some ways they are very similar, but in other ways, they are night-and-day different. If you crack open (not literally!) the machine, you’d think you’re looking at a regular Commodore 64. Don’t think there’s any component in here that you couldn’t find on a standard Commodore 64. CPU is the same, SID (6581) is the same, PLA is the same, VIC-II is the same, and I gather the smaller ICs are also the same. The contents of the character ROM and kernal ROM are different. We’ll look at how that pans out later. Put the cover back on, and with a more careful look, some differences are apparent. Probably the most eye-catching thing initially is that the shift-lock key has been replaced with what we’ll call “C=-lock” (and verbalize as “commodore-lock”). Off in the opposite corner, the £ key has been replaced with the ¥ key. But take a look at those characters on the fronts of the key caps. On almost every key is a Japanese katakana character. Before we start, we have to turn on the computer. And that’s when we see another set of differences: at the BASIC screen, the colors are different, the font is different, and the amount of free memory is different (more on this later). Katakana is usually used for writing or typing loan words from western countries, but it contains every sound of the Japanese language, meaning you could type an entire document or book with it. It would be a nightmare to try to read a large body of text that way, but it would be possible. When you type, though, the alphabet appears. How do you access the katakana? First, you must enter the second character mode, by pressing C= + shift (lowercase mode on a standard Commodore 64). After that, it is the same way you access the petscii characters in those locations on a standard Commodore 64: by pressing C= and typing the characters. By extension, it makes our C=-lock key quite useful — far more useful than the shift-lock key would be. 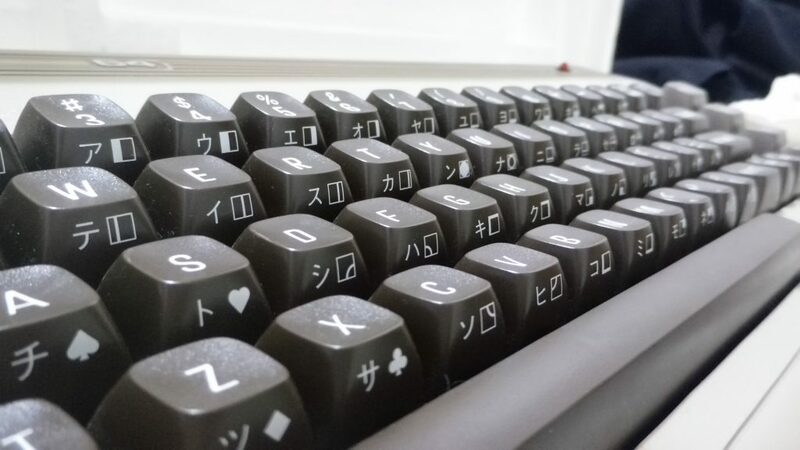 Although they are not visible on any key cap, there are also three kanji that the system can produce. They are directly accessible by pressing shift and typing the +, -, and ¥ keys. All of the katakana and kanji characters are handled by a one-to-one replacement in the character ROM. What about operation? Well, we are led to believe that operation is completely different. Before I bought the system, I’d read that software written for the standard Commodore 64 is not compatible with the Japanese Commodore 64. When I read that, I had my doubts that it was completely incompatible. Surely, cartridges must work, right? They bypass BASIC and carry their own ROM, so I imagined they would work. And they do! Generally. If a cartridge uses the default characters, then indeed you might find katakana characters where you might expect alphabetic characters or petscii. And the game Centipede does some weird doubling effect with the text. But games should function correctly, possibly excepting any text adventures loaded onto carts. But indeed, if you try to load a standard Commodore 64 game from floppy on the Japanese Commodore 64, it will not work. The reason seems to be due to the difference in free memory when you launch the machines. 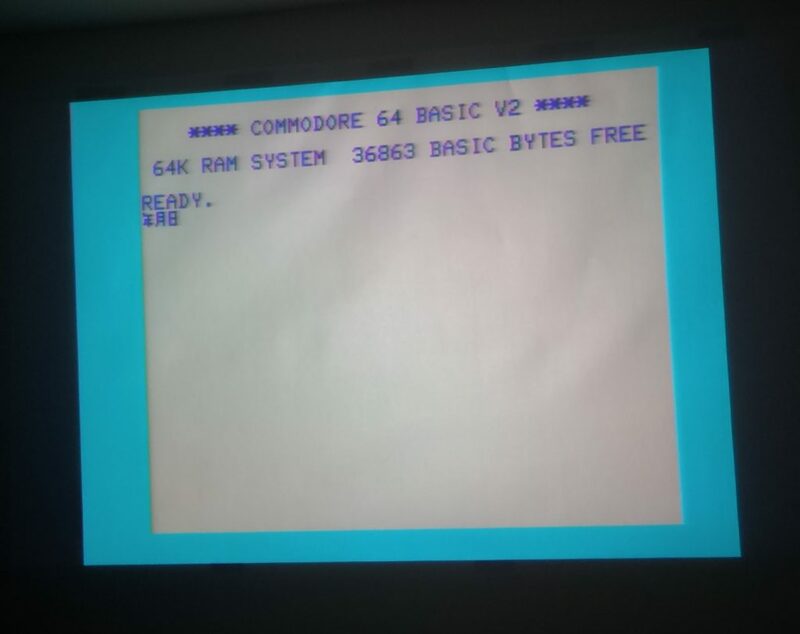 The standard Commodore 64 has 38911 bytes free, while the Japanese Commodore 64 has 36863 bytes free. Why? Nobody seems exactly sure. 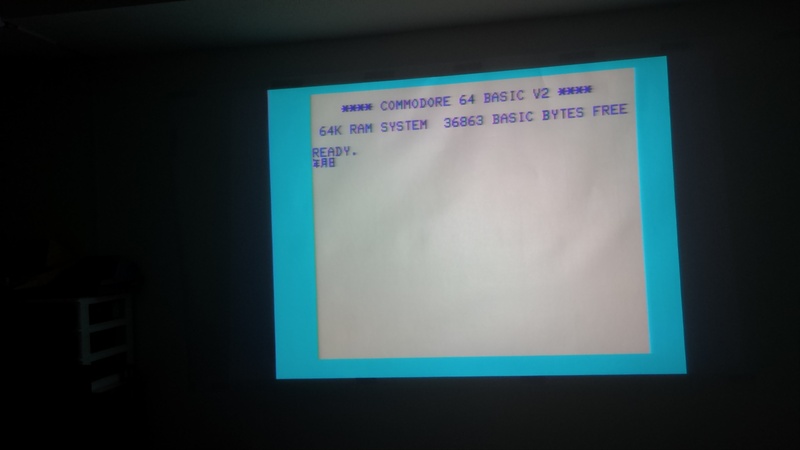 Some people far more clever than me have disassembled the Japanese C64 kernal ROM and examined it, and discovered that it loads BASIC from a location offeset by 2KB from the standard kernal ROM. But nobody has come up with a conclusive reason why there is this difference. 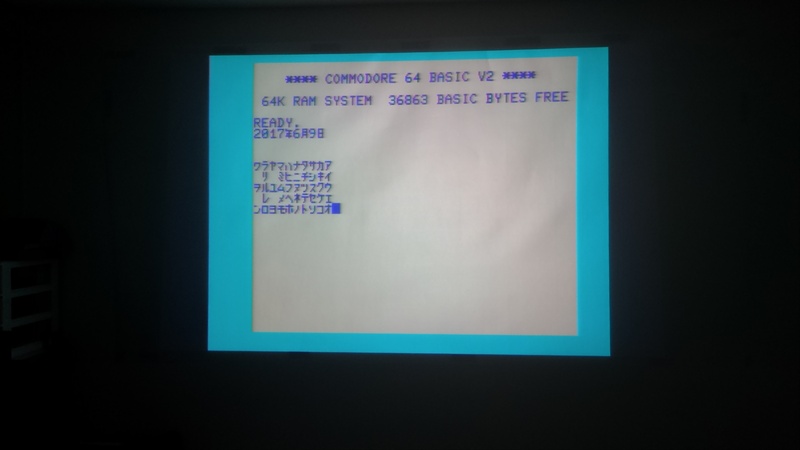 But actually, the compatibility situation isn’t as bleak for the Japanese Commodore 64 as I’d been led to believe. I have been able to load games in three environments. The first is easy and universal, working with all floppy-based games that I’ve tried so far. The second is quirky and seemingly offers limited compatibility. The third is downright weird and so far I have only managed to make one game work. Environment 1: This requires a quickload cartridge. The only physical quickload cartridge I have is the Epyx FastLoad cart, but I also have a few other quickload images accessible via my 1541 Ultimate-II+. 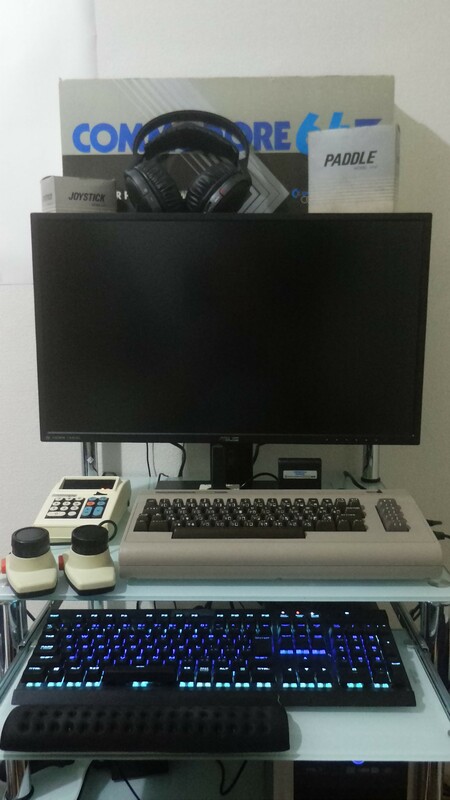 This environment can make your Japanese Commodore 64 100% compatible with standard Commodore 64 software, with the exception of some character replacements in games that use the default font*. But to make it 100% compatible, your quickload solution has to be able to turn off its quickload feature, while still loading the cartridge itself into memory. I don’t know if Epyx FastLoad can do this, but Action Replay and Final Cartridge both seem capable of it. If you can’t turn off the quickload feature, you are limited by your quickload cartridge’s compatibility. It seems that quickload carts come with their own kernal rom, or possibly their own routines that perform some tasks before turning over control to the kernal rom. 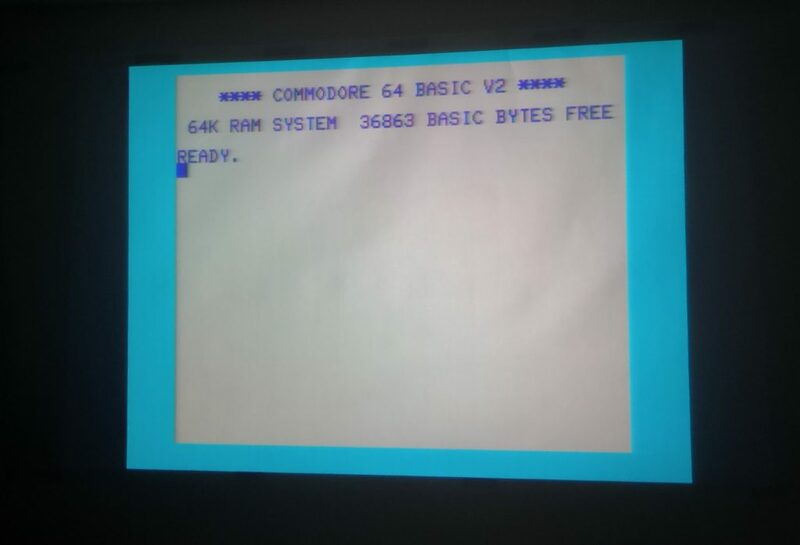 In any event, if you use a quickload, it restores the expected amount of free memory to 38911 and from there, everything works like a standard Commodore 64. You can load floppy disks and play them like it’s 1985 again. *Admittedly, this might make text adventures completely unplayable, but they would still load properly and function correctly if you cared to decode the characters one at a time. Environment 2: But environment 1 is so easy and universal! Why bother with anything else? Well, reason one, this requires absolutely nothing! You can turn on your Japanese Commodore 64 and load some games from floppy disk without a quickload cart. Reason two, It iis like a treasure hunt, trying to uncover each game’s secret, if it indeed has a secret at all. I don’t think it is 100% compatible, but who knows? If you poke at it long enough, any given game might work. The first game I got to work in this environment was Archon. I issued my standard LOAD”*”,8,1 and let it load. Waiting. Waiting. It came back with READY. I typed RUN, and it didn’t work. But by chance, I hit run/stop + restore and suddenly Archon started! I about fell out of my chair. Turned it off and verified that it wasn’t some fluke, and that you didn’t need to type RUN. Indeed, you just load the game and press run/stop + restore and the game works. The second game I got working was Bop ‘n’ Wrestle, or Rock ‘n’ Wrestle as it’s known in Europe. This is a cracked version, so I am not sure yet about the real version. But if I load it using LOAD”*”,8,1, it doesn’t work. Typing RUN doesn’t work. Pressing run/stop + restore doesn’t work. But if I load using LOAD”*”,8 (no ,1), then type “RUN”, it loaded fine. Environment 3: This has only worked with one game so far, and the way I came upon this was a total fluke of combinations of things I try for no apparent reason when a game won’t load on a standard Commodore 64. I think this method of loading is just plain bizarre, but it may be an even more extreme treasure hunt than environment 2. 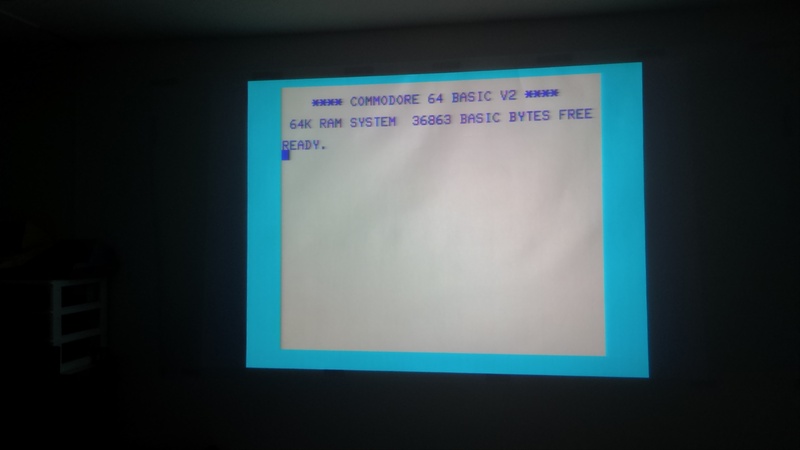 This was with my 1541 Ultimate-II+ plugged in, but no quickload cartridge loaded. 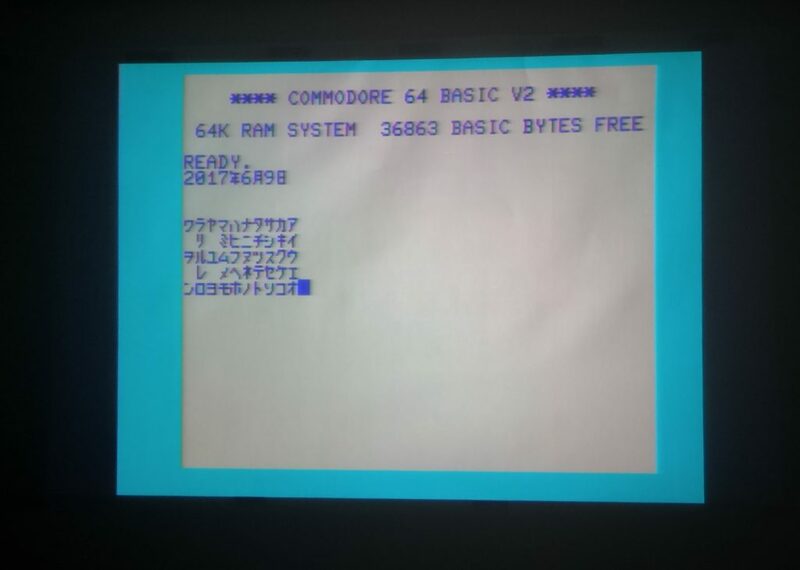 The free memory available was registering as 36863, same as a stock Japanese Commodore 64. I tried Archon. I loaded it with LOAD”*”,8,1 and it came back to me with READY. RUN did nothing. run/stop + restore did nothing (although this worked in environment 2). But I typed SYS 49152 and THEN pressed run/stop + restore and the game worked! I am pretty sure I did fall out of my chair for that one. Although at the time of typing this article, it is the only game I’ve gotten to load this way, it seems quite unlikely that this game is the only game that would work this way. Or perhaps there are other values to try with SYS that may work. Perhaps knowing the memory location (stored in the first two bytes of every program, but I don’t really know how to access those bytes) is the key to this one. It’s not terribly important for me to get this working, as my Commodore 128 and 1541 Ultimate-II+ is by far my most compatible environment due to being PAL, but I love tinkering with all the different variables here to try to put the pieces of the puzzle together. As I mentioned before, this system is rare. You might wait for another year or more before this turns up, and when it does, you might find it terribly expensive. I didn’t pay this much (although I did pay a lot), but one of the systems I saw on Yahoo Auctions went for 130,000 (approximately $1300USD). But don’t let that stop you from experiencing the hair-pulling adventure that is a Japanese Commodore 64. All you need is an emulator that supports it. WinVICE 3.0 is such an emulator. Select the Japanese system from “model settings” and you’re good to go! 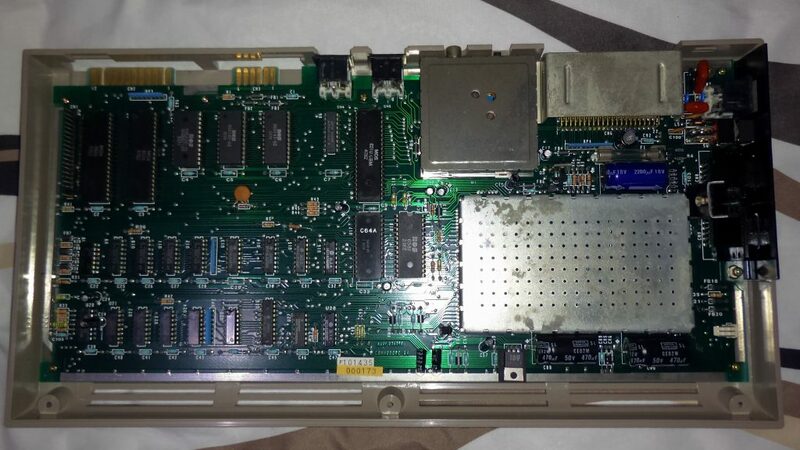 This will change the start of BASIC to $0801 to match the normal C64 start. Hello! Thanks for reading through that mess of a post. Your suggestion is appreciated, and I will give it a shot next time I load the system. However, and I haven’t yet updated to reflect this, I learned a bit ago that, despite the BASIC location, most original (non-cracked) software loads just fine. Some games suffer from unexpected katakana or PETSCII characters, but the games themselves load fine. Cracked software seems to be a problem, but often enough it can be worked around. Perhaps your suggestion of poke 44,8 will be the universal fix! Thanks for the comment on this sort of half-completed post. It’s a neat machine and I feel lucky to have come across one. The previous time I saw one, it didn’t look as nice and cost double the price! I’m sure one will pop up on Yahoo Auctions again sooner or later, you just have to keep your eyes open for it! 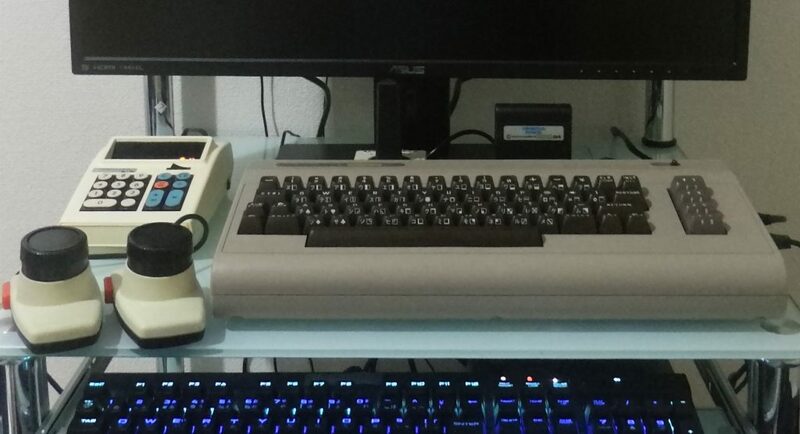 I’m working on an open source C64 emulator and would like to use your photo for it’s software keyboard. You would of course be listed in the credits. Please let me know wether and under which condition you would allow that. Hi! Thanks for the comment. Well, that sounds pretty cool to me. Which photo are you talking about? A credit would be sufficient, I think! Thank you, that is great to hear. I’m crediting you as queuebert with a link to this site. Anything else you want me to mention? It’s the third one in the article, where you see the computer from the top (P_20170525_034721.jpg).